MDSolarSciences sunscreen stick, quick dry spray and mineral crèmes. There’s a quick dry body spray SPF 40 which sprays any which way so it’s great for those hard to reach areas. Mineral crèmes in SPF 30 or 50, and the SPF 30 crème has a tinted option. This is always my choice because it makes my fair skin look a little more alive. Or, if a sunscreen stick is your thing, there’s that, too! Then, there is MD CRÈME mineral beauty balm, made specifically for the face. You can wear it alone or under your foundation. It offers all of the same protection, is SPF 50, plus, evens out skin tone and minimizes the appearance of pores and fine lines. Pick light/medium or medium/dark based on your skin color. 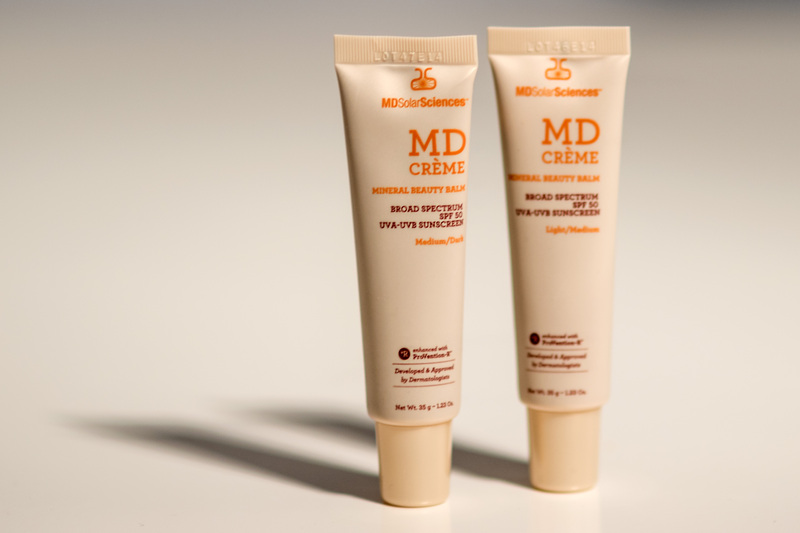 MDSolarSciences MD CREME Mineral Beauty Balm. Throw a couple (or all) in your swim bag and head to the beach or pool. 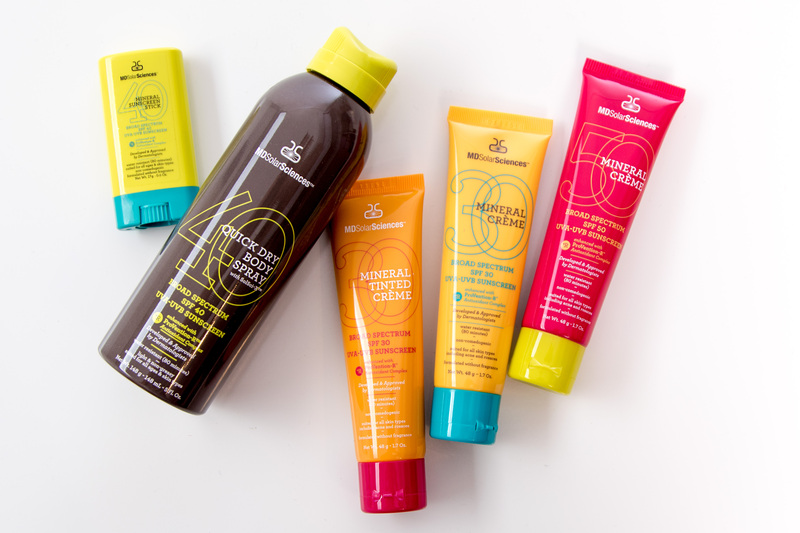 Sunny days are here again – be smart and sun kissed, not sunburned! This entry was posted in sunscreen and tagged anti-aging, sun protection. Bookmark the permalink.